Eclectic Estate Sales is located near the center of Connecticut and has 8 years experience in antique markets, auctioning and estate sales. In-home estate / tag sales are a fast and hassle free option to liquidate when you need to settle a family estate; are relocating or downsizing; facing bankruptcy or foreclosure; or just want to redesign. Our estate / tag sales are an open house for antique buyers and dealers, collectors, decorators, bargain hunters, treasure seekers and casual shoppers out to purchase gently-used items for sale. Our friendly & professional sales team will do everything possible to make every sale a success utilizing multiple advertising & marketing methods including quality photographs; attractive and organized displays; research and fair market pricing and negotiating. 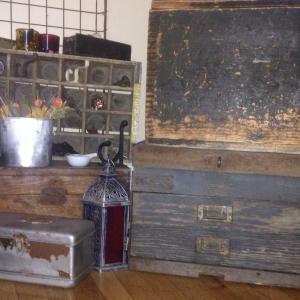 This is week 2 of this estate; lots of treasures to find a home so if you missed it last week here is your second chance! Exquisite home furnishings and tons of tools! Boos Block Island, Ridgeway Wrought Iron Clock, Amish Oak Dining, Bowflex - Quality, Like New! Charming & Collectibles, Just in Time for Holiday Gifts! Exquisite Home Furnishings, Signed Art (R. Natkin) & a GARAGE of TOOLS! This company has posted a total of 35 estate sales. Only the most recent 33 sales are shown.